21 Rosemary Lane: Happy Weekend! 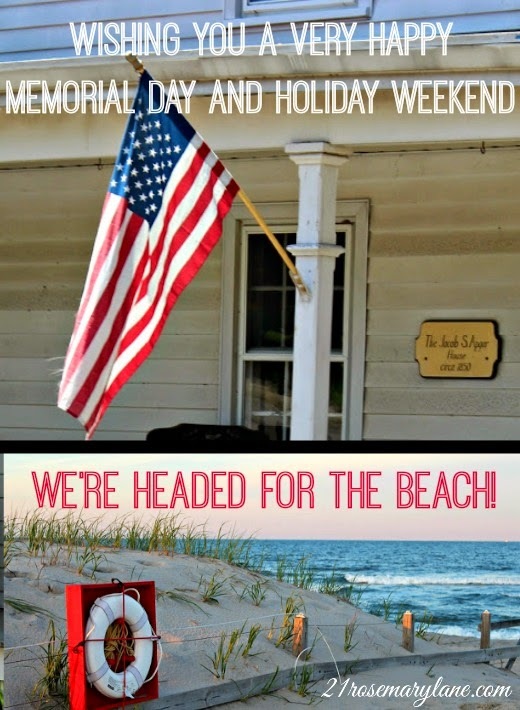 It's Saturday of Memorial day weekend and we are headed for the shore!!! Hope you all have fun at whatever parades and backyard barbecues you plan to attend. Please be safe and have a wonderful time!!! Hope you weekend is nice, enjoy your trip to the shore! I am looking for the one on making drapes from drop cloths. Any hints how to find it? Also, tell me what to look for and shop for rods for these curtains. I like them but, PRICE is a BIG factor. Cute post, Barbara! Have fun! !